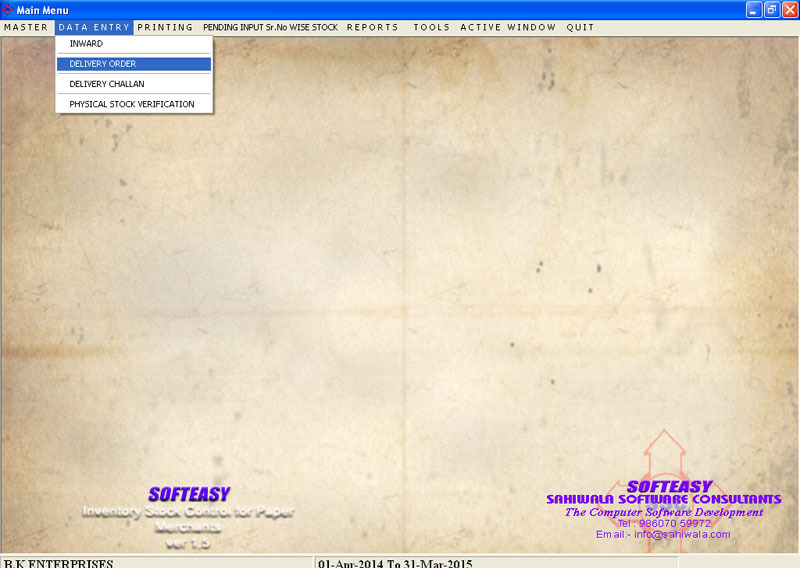 PAPER ROLLS BUNDLES INVENTORY TRADING & PACKAGING SOFTWARE. 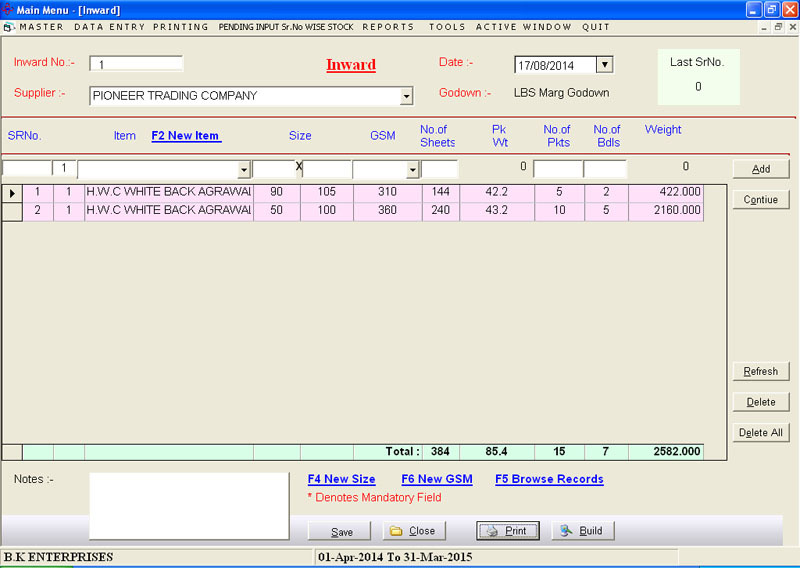 The Paper Industry Mill ERP Software maintains the records of the inventory Godown wise. 1. 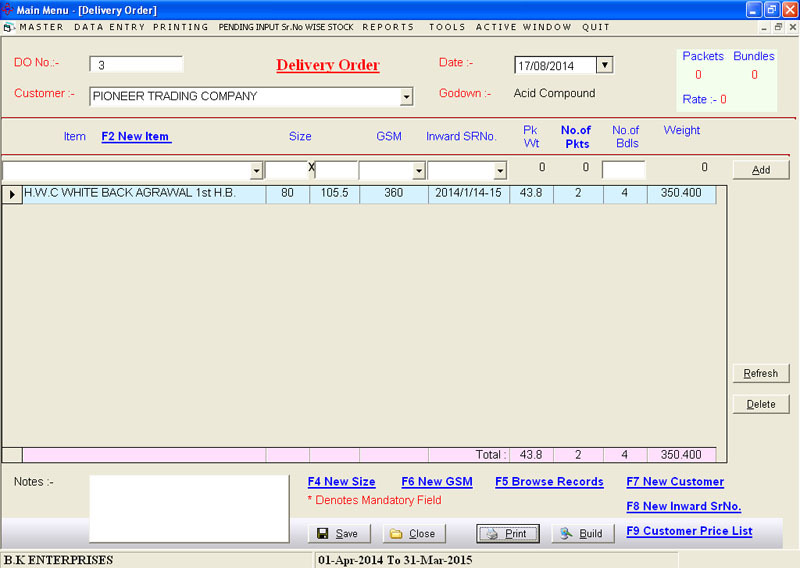 Maintain each Stock of No.of Sheets & No.of Packets, with Auto Calculate of No.of Sheet, Size & GMS. 2. Maintain each Stock of No.of Bundles. 3. Maintain each Stock of Packets Weight. 4. Maintain each Stock of Total Bundles Weight. 5. 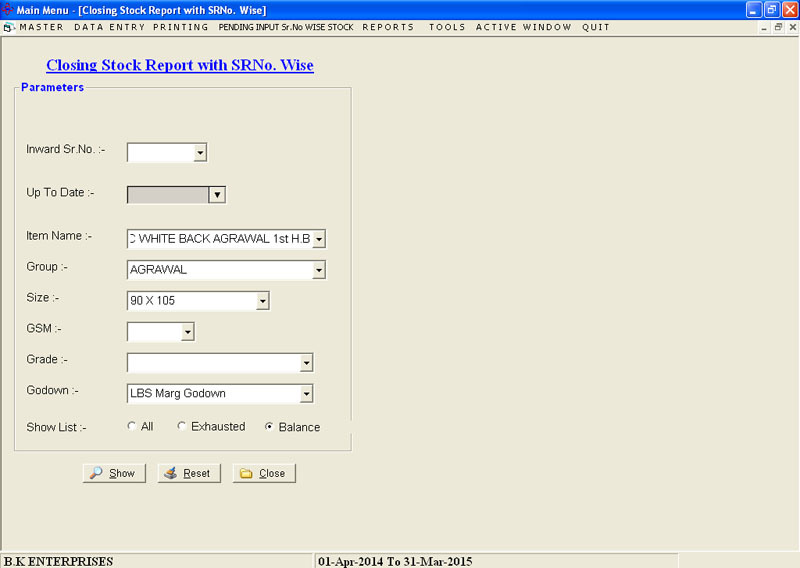 Maintain Godown wise with Sr.No. 6. 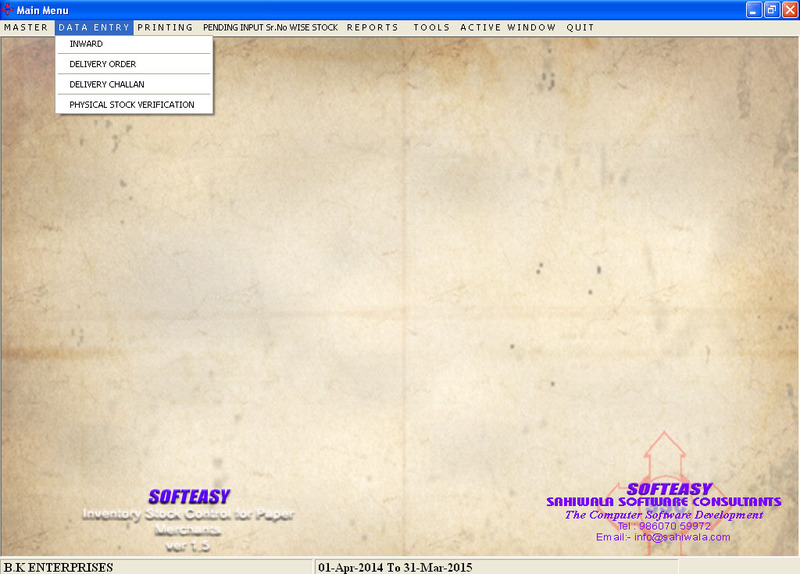 Maintain Sr.No tracking Features of Inward / Outward. 7. 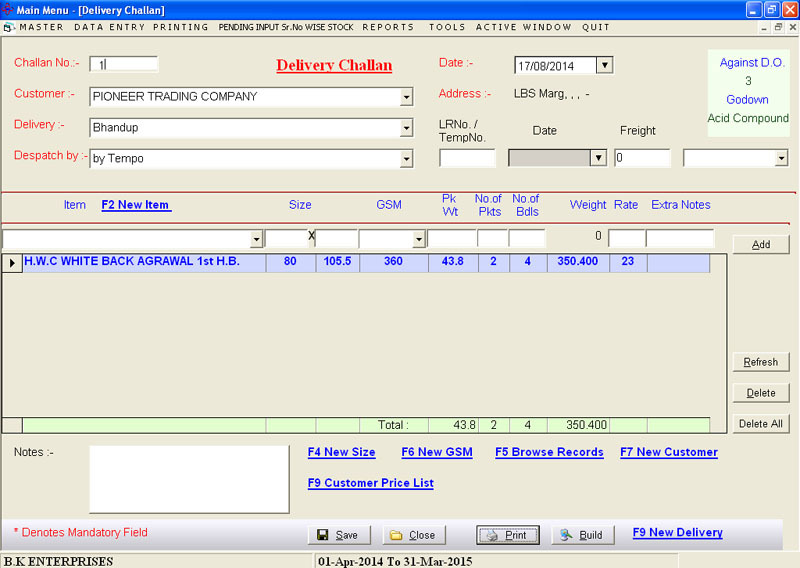 Make Instant Delivery Challan with / without Inventory Stock. 8. 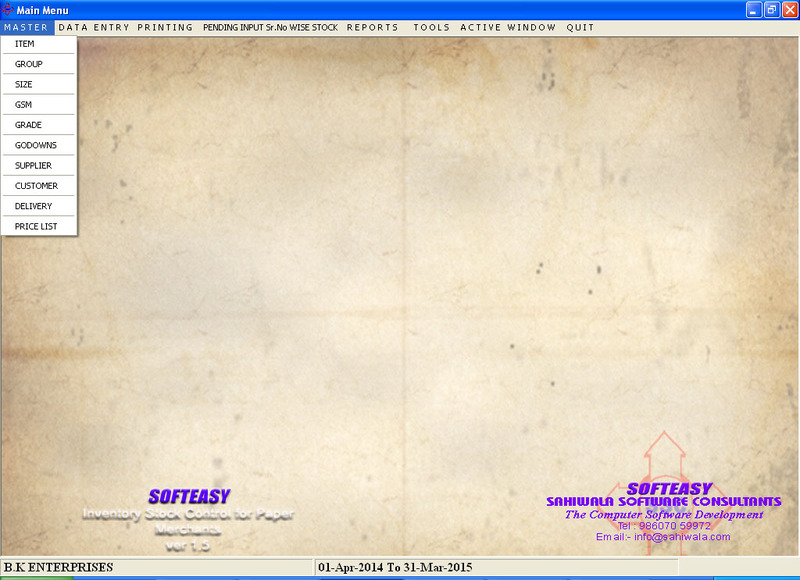 Printout in terms of Centimeter / Inches with Size & GMS. 9. Set Party wise Rate with Item in terms of KG. 10. Reports of Item wise Inventory stock. 11. 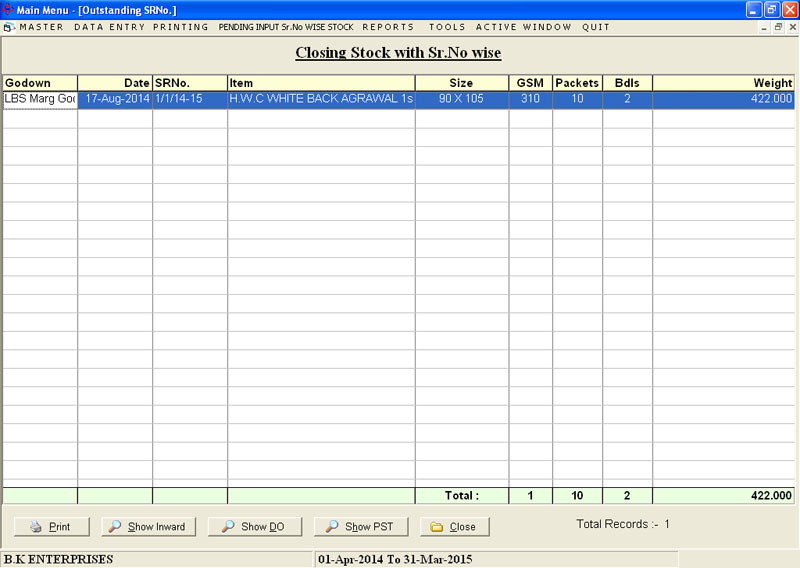 Reports of Sr.No wise Inventory stock. 12. Reports of Godown wise Inventory Stock. 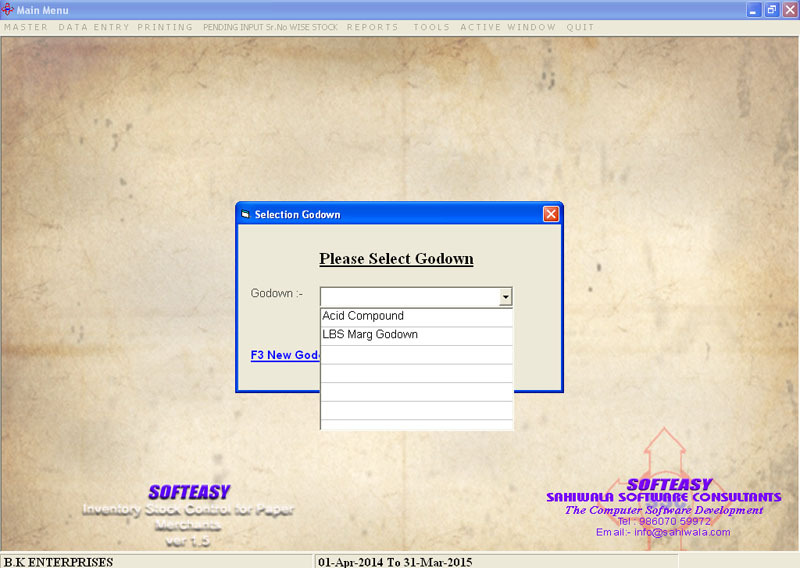 The Binder Paper software asks the godown selection to be done before the entry of the inward and thereby it automatcally allocate the Sr No of the inward as per the godown continuation number. Each Bundles has 10 packets inside and each packets may contains 500 papers (Sheets) which may be used for cartons in the packaging industry and for muti purpose. 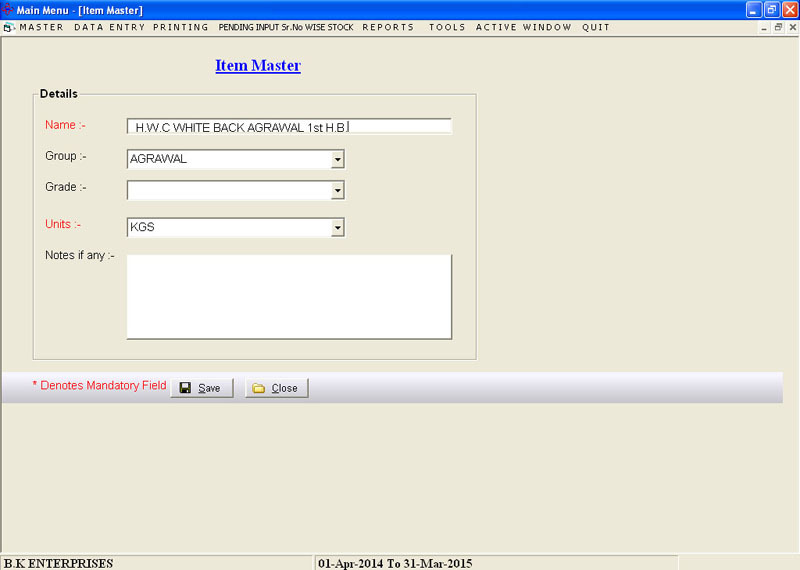 GSM is the unit for the measurement of the papers insides the packets which has 600 700 etc GSM. 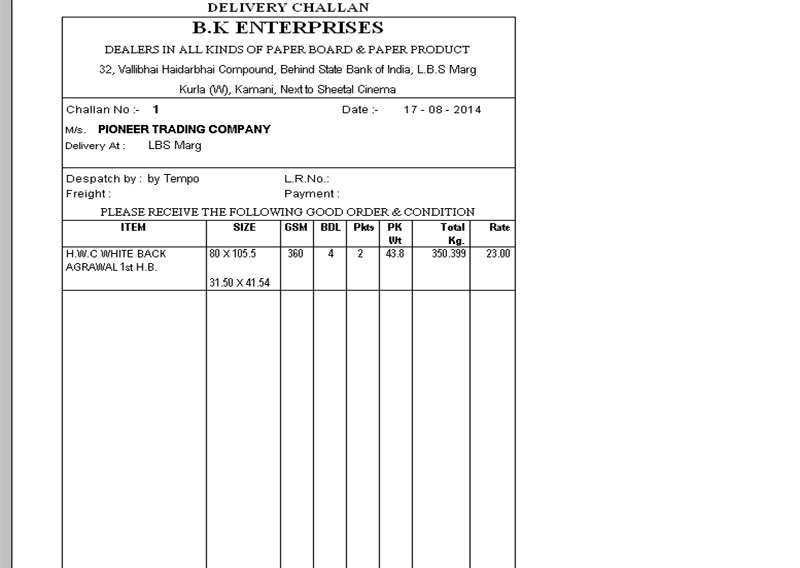 The Reference number of inward has to be given while entering the data of delivery order as to get avoided of passing again the entry of delivery challan. 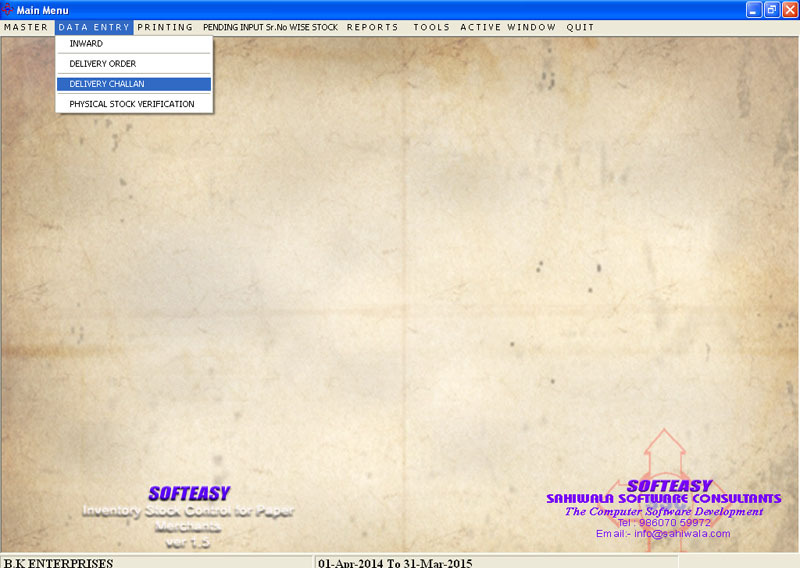 The Paper Board Inventory software is an auto software where all the calculations are done by the inventory management software itself and it is exclusively made for the paper and board merchants only. The free download Inventory Binder software is available for the demo for the trial period only by shooting an e mail to us . 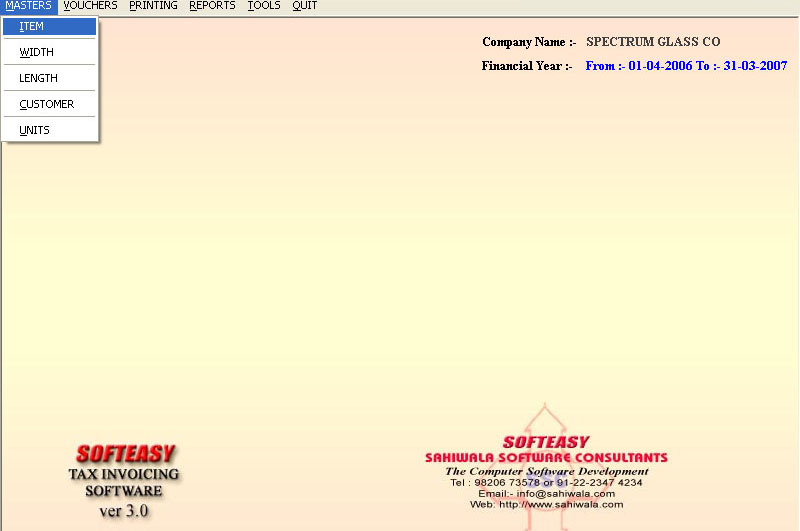 Our Other Software includes the Inventory Stock control software is readymade inventory management software and can be made customized inventory software as per the clients needs.